If you would like to drop off your bike to get into our service queue while the department is closed, you are more than welcome to! The shop is open every day from 9-5. In our service department, we aim to keep things simple. Our hourly labor rates exclude parts, and if we recommend replacing any parts on your bike we will be in touch and provide a price quote! 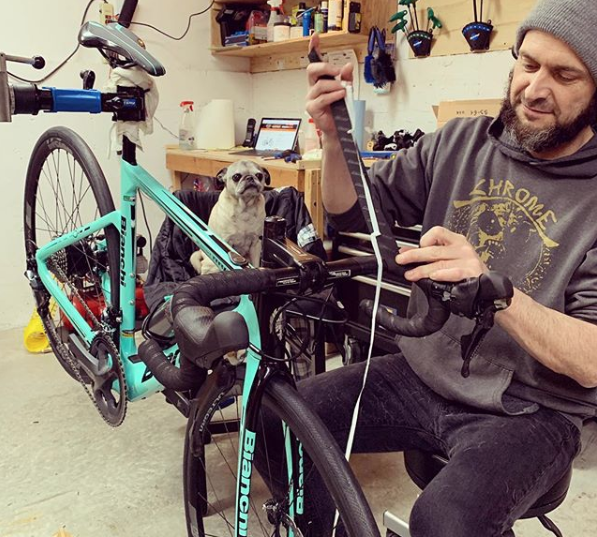 Our Service Manager Ollie has extensive experience with e-bikes (meet him here), and he's excited to work on your precious ride. With any new bike purchase, you'll receive $200 in OEB Bucks through our Ride Happy Club that you can put towards service (excluding parts) or rentals at any time. 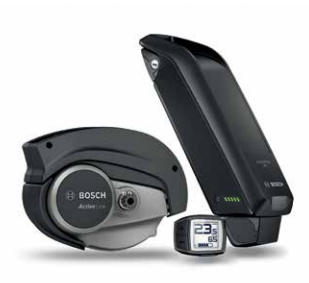 Keep your e-bike purring on the road or the trails, and bring your friends along for the adventure! Ollie and Lily hard at work on the Bianchi Aria e-Road.